With the introduction of the Department of Education (DepEd) Memo no. 216s or the "Home Education Program" back in 1997, accreditation and equivalency for students who were homeschooled at first and later transferred to the more traditional learning environments was made available. According to the Homeschool Association of the Philippine Islands (HAPI), there are over 12,000 children homeschooled, with over 7,000 of them affiliated and guided by over 15 homeschool providers who are in turn guided by DepED through compliance with standards and requirements. At REX, we have integrated our full suite of learning solutions with Schoology, a cloud-based learning management system that provides educators and academic institutions with what they truly need to create engaging content, design lessons, and assess student progress in a single, intuitively designed platform. With this platform, the classroom of the future is made more accessible, even for young learners within the homeschool setting. This holistic strategy diversifies a learner's options and widens the accessibility of learning materials for all, breaking boundaries and unlocking the full potential of technology to help learners advance and excel. As a learning platform, Schoology features age-appropriate instructional tools, seamless communication and collaboration tools for students, parents, and teachers; data-driven analyticsand assessment tools for a personalized learning experience, as well as easy interoperability with current programs and school systems designed according to K-12 standards. In this sense,Schoology connects teachers, parents, and students with a focus on desired learning objectives, setting intentions and expectations for an overall educational strategy that provides flexibility and ease for everyone. This commitment to quality and transparency in communicating the needs of every young learner is something that REX has always worked for with passion, and with Schoology's trustedplatform with over 10 years of research and development, REX is ready to engage young learners toward the 21st century. Every child has potential, and nurturing that potential with the right tools and the right environment also means choosing the right partner for modern and progressive learning. At REX, we believe that a child's capacity to learn isn't just confined to a classroom environment: one can learn anywhere there's a chance to do so, because school is not a just a place, school is anywhere you can learn. 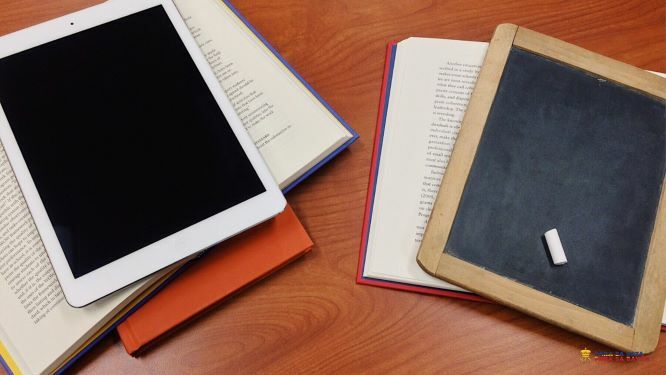 Having access to the information and learning materials anytime and anywhere is an important factor, especially for kids who undergo homeschooling or distance learning programs. By helping learners access resources, lessons, assignments, and discussions wherever they are, REX' suite of learning solutions also helps advance the homeschooling movement forward, supporting its aims and aspirations for every Filipino child, Para Sa Bata, Para Sa Bayan.